Should Every Pregnant Woman Be Assessed for Zika? According to the CDC, the answer is a resounding "yes." According to the CDC, all pregnant women should be assessed for the Zika virus. This is a recent recommendation, as new Zika-related findings have prompted the group to push for new screening practices. The CDC believes every prenatal medical visit should include a Zika assessment, where a doctor asks an expectant mother if she or her partner has traveled to an area where Zika is being transmitted. Back in January, the CDC issued a recommendation for pregnant women to avoid areas where the virus is actively spreading. That's still the case, but the virus is closer to home now: Miami's Wynnwood neighborhood is now home to an outbreak, with 14 people infected locally, according to USA Today. Pregnant women are advised to avoid travel to Florida's Miami-Dade County as a result, and expecting mothers who live in the area are urged to avoid contact with mosquitoes by wearing insect repellant and covering their arms and legs when outdoors. Women who experience fevers or rashes, which are two of Zika's main symptoms, should certainly be tested for the virus, as should any pregnant women who could have been exposed via travel or sexual contact. 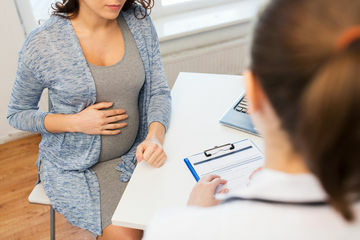 But according to the CDC, this isn't enough: Regular assessment of pregnant women who don't have any real reason to believe they've been infected is important as well, as this will allow medical practitioners to make informed decisions about whether or not they should be thoroughly tested. This is not to be taken lightly: Zika's symptoms are on the mild side for most people, but the virus has been linked to microcephaly, a birth defect that causes babies to be born with abnormally small heads and incomplete brain development, when it infects pregnant women. If you have recently traveled to the Wynnwood section of Miami or any other place where Zika is actively spreading, you're advised to hold off on trying to conceive for about eight weeks so the virus can run its course. While scientists are still trying to determine how long the virus can last in the body, studies indicate that it can hang around sperm the longest—so men who have been exposed should wait six months before trying to conceive.